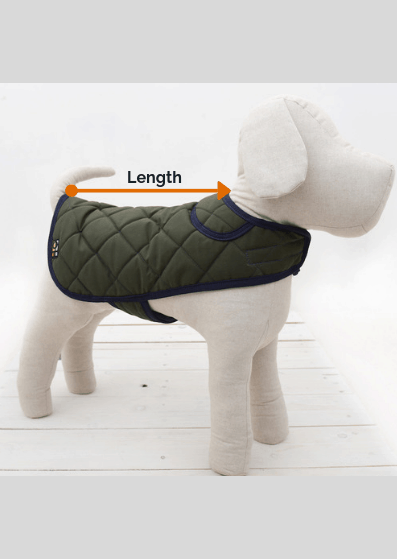 Home / Blog / Can my dog eat? Foods your dog should avoid or restrict. Can my dog eat? Foods your dog should avoid or restrict. As much as we love to give our dogs treat, and sometimes even encourage them to eat the same food as us, this should be done with a word of caution. Dogs have different nutritional requirements to humans and also different metabolic reactions to foods that we think are scrumptious and healthy. These same foods can be potentially fatal for dogs. So, what can dogs eat? And what can’t dogs eat? Well there are some foods that are very black and white and then there are those that fall into the ‘sometimes’ category much in the same way us humans should approach food. So, chocolate would be a ‘sometimes’ for humans (albeit some readers sometimes may be always!) but a ‘never’ for dogs. Macadamia Nuts, even a small amount of these nuts can make dogs very sick not to mention they have high levels of fat. Chocolate is well known to be bad for dogs, the reason is that dogs cannot metabolise two things in chocolate (caffeine and theobromine). Ingestion of chocolate can lead to sickness and eventually death. Darker variety of chocolate are more potent, but any should be avoided. Onions are poisonous to dogs as a chemical (a disulphide) in onions can cause damage to red blood cells which in turn can led to anaemia. All types and forms of onions should be avoided. Coffee and tea are dangerous for dogs to consume due to their caffeine contents. Any amounts should be avoided. Grapes/Raisins should also be avoided as they can cause kidney failure and subsequent death. An example of a food we may consider healthy for us but definitely not for your dog. Raw dough, very appealing to us as cookie dough or cake dough, for dogs there are two major risks. Yeast can produce alcohol (not good for dogs) and raw dough can still expand making you dog bloated potentially affecting their breathing. Garlic should be avoided as it includes thiosulphates which can be poisonous to your and much like onions can lead to anaemia. Lemons/limes which may seem rather innocuous other than being a little sharp can cause stomach problems and potential liver failure/death. They contain psoralen (a mutagen) which can seriously affect dogs especially if ingested in large amounts. Avocados somewhat loved or hated by us humans contain persin (a fungicidal toxin) which is poisonous to your dog leading to breathing issues and potentially death. Alcohol is already known to be bad for humans and the same for dogs except much smaller amounts have the potential to lead to alcohol poisoning which at the severe end can lead to a heart attack and death. Any product containing alcohol should be avoided. 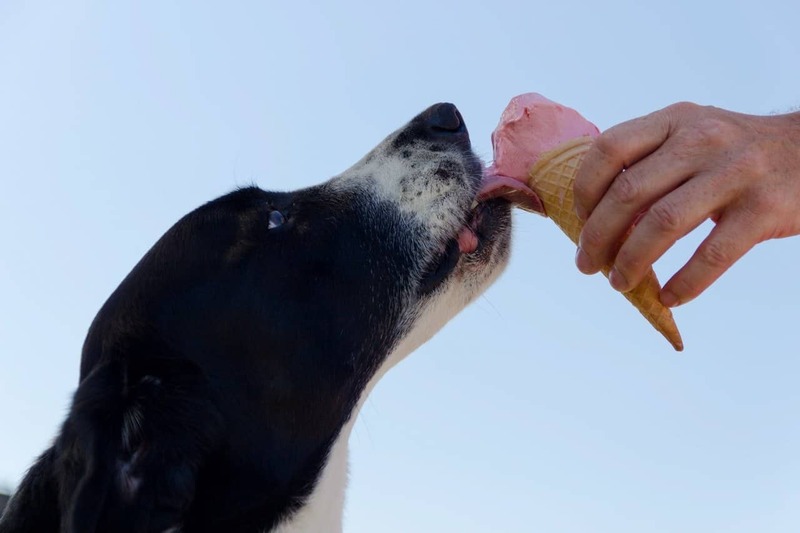 Xylitol is found in many sweets acting as a sugar substitute (look out for it in some peanut butters) and is very dangerous for dogs as it can lead to a quick drop in blood sugar leading to more serious effects such as damage to your dog’s live and ultimately death. Nutmeg is probably something you wouldn’t consider giving your dog anyway but bear in mind it can be contained in cakes and foods (not that dogs should eat cake either). It contains a chemical (myristicin) which is poisonous to dogs when taken in large amounts. Ice Cream (human) has many issues which is why it is on the never list rather than the restricted list. Doggie ice cream is freely available and so should be used instead. Human ice cream can cause issues because it contains lactose (see milk on the restricted list), some ice creams contain xylitol (see above) and some flavours can be toxic (for example chocolate). For all of these reasons ice cream is on the never list. Carrots are full of vitamins and fibre and so are considered a very healthy treat for your dog’s when chopped to a size that is palatable for your dog. Broccoli can be healthy as a snack for your dog but in small amounts. Broccoli is low in calories and does contain vitamins and minerals. Too much can give your dog an upset stomach. Peas when frozen or fresh are a very healthy food for dogs and are packed in nutrients. Best to avoid tinned peas as they can be high in salt content which isn’t good for dogs. Sweet Potatoes are a superfood for us humans and are also healthy for dogs, like other vegetables too much can be bad for your dog so don’t overdo it. Potatoes are ok for dogs if they are cooked and ripe, green potatoes are not good for dogs and can cause sickness. Sweetcorn is found in many dog foods and is full of minerals and so healthy for your dog, although we would recommend not feeding your dog corn on the cob as it may choke on it. Mushrooms are ok if you have bought them from a shop, picking wild mushrooms is a risky business and so is not recommended as some mushrooms are poisonous to both dogs and humans. Celery is great as a healthy snack in small quantities as it is a good source of vitamins without many calories. Pineapple can be a very healthy snack in small portions for your dog, too much could make them sick so be aware of how much you give your dog. Blueberries are a great treat for your dog providing lots of vitamins and minerals your dog requires. Apples like blueberries contain lots of good stuff for your dogs, just remember the seed contain cyanide and should be avoided. Blackberries contain antioxidants and so are good for dogs, so a small handful is healthy for your dog. Watermelon without any seeds or skin is very healthy for your dog and will extra vitamins (A & C) to your dog’s diet. Mango is full of fibre and vitamins and so make a health snack for your dog, always peel and remove the stone. Coconut is healthy and like in humans can benefit your dog’s coat, coconut or coconut oil is high in calories so again watch the portion size. Strawberries are a healthy snack for your dog in small amounts, they have lots of nutrients and are low in calories. Oranges are a healthy snack when give in small amounts, some dogs can get stomach upsets from too much orange so be aware of your own dog’s reaction. Bananas can be a good source of fibre for you dog and work well mashed up as a treat or added to food. Raspberries are a great source of antioxidants for dogs and in moderation are a healthy snack. Pears are ok in moderation and are full of vitamins for you dog so make a good snack. Popcorn is ok as a small treat for you dog but always choose plain popcorn as the extra salt and sugar isn’t good for your dog. Like us dogs will struggle with any un-popped popcorn as the kernels can get stuck in between their teeth. Bread is ok in most forms as long as it doesn’t contain other ingredients on the never list. Rice is a great bland alternative to dried food as it helps relieve any stomach issues, often chicken and rice is a recommended food for dogs suffering with diarrhoea. Oatmeal is a great source of fibre for dogs especially when nothing else is added, so avoid any flavoured versions as other ingredients may be a no no. Peanut butter is ok in small amounts as it contains a lot of fat but be aware that some peanut butter contains Xylitol which should be avoided (see the never list). Pork is good when cooked, raw pork can contain harmful bacteria, pork that has been processed (bacon) should really be avoided as it can contain a lot of salt which is harmful. Turkey is fine for dogs when nothing else is added, so a stuffed turkey at Christmas should be avoided as there is a risk that ingredients from the ‘never’ list will be present. Avoid bones due to the risk of choking. Salmon is known for being a great source omega-3 which can help with your dog’s skin, but it should be cooked as raw Salmon can pose serious risks to your dog. You should also avoid bones to prevent choking. Chicken is known as being a staple in many dog foods and so is generally good for dogs. It provides a good source of protein, as with other meats it should be cooked (due to risk of Salmonella) and deboned to avoid choking risk. Shrimps/Prawns are a good way for your dog to get protein and should always be cooked due to the risk posed by bacteria. We would also suggest deshelling the shrimp/prawn to avoid choking. Beef is another good protein source for your dog and if you can get lean beef even better. Like the other meats beef should be fed without any other extras, so leftover beef wellington or bourguignon isn’t healthy. Eggs are a great source of protein for dogs, you are probably used to them being recommended when your dog has an upset stomach as they tend to be a good bland alternative to dry food. They should always be cooked to avoid any risk of Salmonella. Cherries are ok in small quantities, but the stones should be avoided as like apples they contain cyanide and can cause choking. Too many cherries can lead to diarrhoea so only give your dogs a couple in one go. Tomatoes are ok as a rare treat, but they must be ripe, green tomatoes can contain solanine (like potatoes) which can be poisonous to dogs in large quantities potentially leading to breathing issues. Peanuts in small amounts and unsalted are ok but they are high in fat which can cause your dog to gain weight. So just a few plain ones at a time. Honey should only be given in very small amounts due to its high sugar content, this will very quickly lead to your dog putting on weight. Cashews ,as with peanuts these should be limited to just a few and only plain varieties are recommended. Almonds are ok in small quantities, but they can be hard for a dog to breakdown so should be limited to very small servings. Salt should be taken with care in both human and dog diets. Too much salt can lead to dehydration, nausea and potentially be fatal. Ideally all salty foods should be avoided in dogs (including crisps and the like). Cinnamon isn’t poisonous in dogs but too much can upset your dog’s stomachs, any products containing cinnamon should be restricted in your dog’s diet. Milk should be restricted as some dogs will suffer from lactose intolerance in much the same way people do. If you notice your dog gets a lot of wind after milk, then it may be intolerant. You can check the amount of lactose in certain milk products and lower levels may be ok. Either way we would recommend limiting how much milk you dog has. Cheese, like milk (see above) may not suit all dogs and you should try your dog on a little bit at first to see how it gets on. Cheese is most definitely a favoured treat for dogs and does help dog training as a good incentive. Cheese does have a high fat content so amounts should be restricted. Figs are OK for dogs but should be restricted, some dogs can get an upset stomach so small amounts should be tried first. Liver (and other organs) are an excellent source of protein and vitamin A, too much can lead to vitamin A toxicity and should be limited (less than 5% of your dog’s overall diet). Dates should be restricted as they have a very high sugar content which could lead to stomach issues, so one or two as a treat is OK. In summary there are many different human foods that dogs will be very tempted by and we will be very tempted to give. Understanding the difference between what is dangerous and what should be given in moderation is very important for your dog’s welfare and the same can be said for us humans! Understanding how your dog gains its nutrition is important before you start supplementing or replacing with alternatives, our article regarding dog nutrition can be found here. If you dog does eat something it shouldn’t then you should seek veterinary advice immediately.